Epsom and St Helier hospitals will be hosting a drop in event on Wednesday 20 June at Banstead Community Hall for all catheter users and their carers as part of Catheter Care Awareness Week (18 - 24 June). 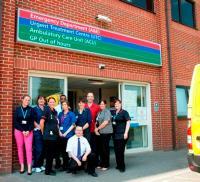 A new Urgent Treatment Centre has opened at Epsom Hospital following a £1 million investment, meaning patients can be directed to the right team for non-emergency care faster than ever before. Epsom and St Helier University Hospitals NHS Trust is pleased to announce the appointment of Dr Christopher Elliott as Associate Non-Executive Director. 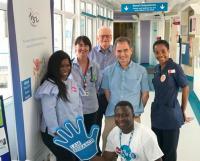 Researchers, clinicians and health and social care staff celebrated clinical research at Epsom and St Helier University Hospitals NHS Trust for this year’s International Clinical Trials Day.